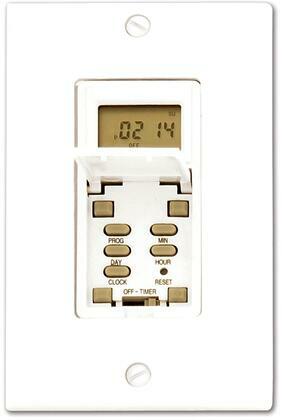 Add a measure of safety security and convenience to everyday life with Westek Timers Light Controls and Dimmers. The Westek Heavy Duty Outdoor Mechanical Timer Switch is perfect for a variety of application such as pools spas fountains water heaters outdoor lighting and signs plus office and commercial uses. The sturdy steel housing is lockable to prevent tampering. It has 48 on and 48 off settings requires no tools to be programmed and the non-removable pins cannot be lost.